When Explore Asian Cuisine recently got in touch and asked me to review their range of bean pasta products I found it a little weird at first. I mean bean pasta!? What is this wizardry!? But I agreed to try it because I was curious to know whether it could actually work and if it would taste nice. They sent me some organic black bean spaghetti edamame & mung bean fettuccine and some organic soy bean spaghetti, and although admittedly, I was anxious at first because I’d never tried anything like it before, I’m so glad I did. Anyone who has ever tried gluten-free pasta before will know there is usually about a split second between the pasta being perfectly cooked and ready to eat and it being overcooked and a sticky mess. Thankfully the bean pasta doesn’t do that, yay! 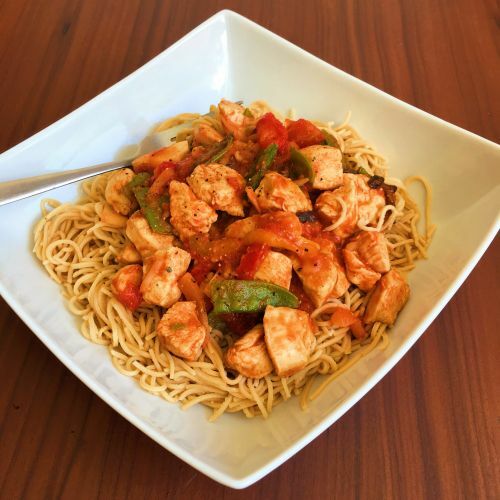 It only takes six minutes to cook and I’ve been using it in the place of spaghetti for a few different dishes to see if you can put it in the place of ‘normal’ gluten-free spaghetti, and you totally can! I made a chicken stir fry style dish with tinned chopped tomatoes (and a few other things including herbs) as the sauce to go with the organic soybean spaghetti, and a chilli con carne to go with the organic black bean spaghetti. I’m not going to tell you that the colour of the black bean spaghetti made me desperate to tuck in – you eat with your eyes and all that! But thankfully it tastes far better than it looks! 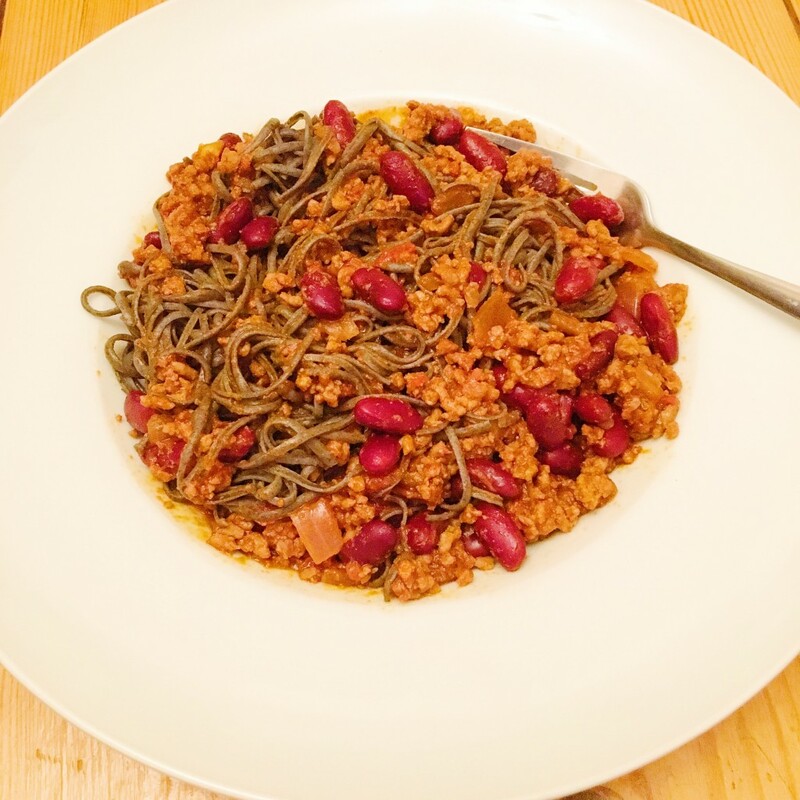 The soybean spaghetti pasta has a much more appealing colour (the same as ‘normal’ pasta) but both make a brilliant substitute for pasta any time, and thanks to the high protein and fibre content, I felt full after each meal made using them. The protein and fibre content of these pastas is incredible!! 100g of the soybean spaghetti contains 20g of fibre and 42g of protein, and 100g of the black bean spaghetti contains 21g of fibre and 44g of protein! 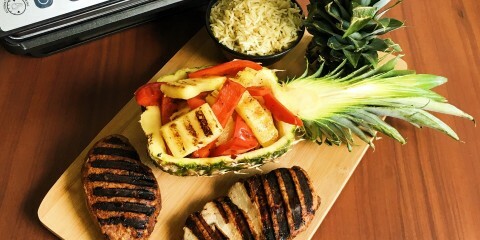 Perfect for low carb days. To explain a little more, you all know I think carbs are amazing (and there’s no need to follow a crazy diet where you remove them completely), however I do have days when I eat slightly less carbs than other times, such as on rest days. I’m definitely not recommending anyone to remove carbs from their diet completely though because your body needs them! Anyway, for days when you want to have a bolognese or stir fry (for example), but don’t want pasta/rice, etc, this is the perfect solution. Personally, I wouldn’t eat the bean pastas plain as they have a slight powdery texture when eaten without anything else, but then I wouldn’t eat ‘normal’ pasta plain either as I find the texture of that odd when eaten on its own too. These pastas are naturally gluten-free (because they’re made using beans) and they’re also a great way to get plenty of protein in a vegan or vegetarian diet. I’m a big meat eater though so naturally added meat to the dishes, but thinking about the protein content, it was in no way a necessity to do that! 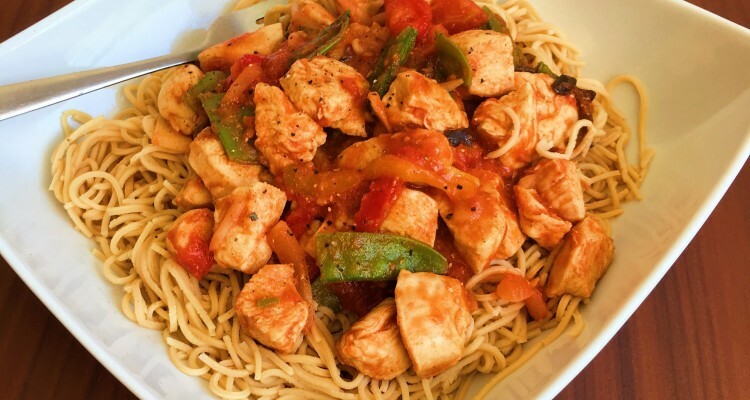 You could easily enjoy these pastas with just a nice sauce and some veggies. They cost approx. £3.29 for a 200g pack and are available in Holland & Barrett, Asda, Ocado, Sainsburys, Healthy Supplies and Planet Organic. Check them out! Will I be buying more of them? Absolutely! Would you try bean pastas? Or if you have already, what did you think of them?